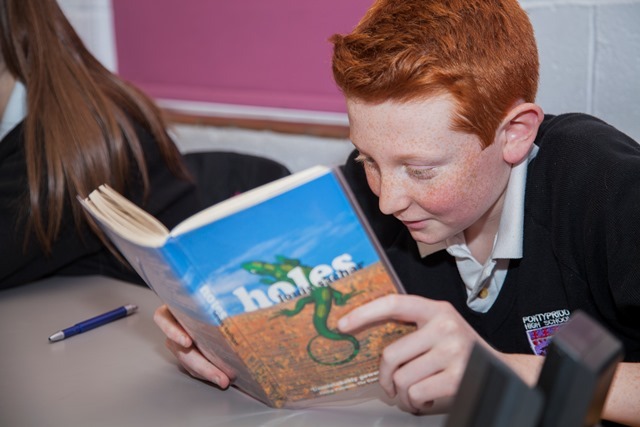 The English department aims to instil a love of language and literature whilst enabling pupils to acquire the skills to express themselves accurately, imaginatively and purposefully. Every teacher in the department is passionate about their subject and enthusiastic about the impact it has on pupils’ learning and development. We are a motivated, forward thinking department and strive to deliver our subject in innovative ways. We build strong relationships and foster a fun, creative environment, believing this to be essential to pupil engagement and achievement. Key Stage 3 students follow wide-ranging courses, addressing the skills outlined by the National Curriculum and the Literacy and Numeracy Framework. Schemes of Learning focus on reading, writing and oracy. A wide range of texts is studied and writing produced, to include prose, poetry, drama and moving image. Oracy skills are developed through group debate and discussion and individual presentations. All Key Stage 4 students study the WJEC English Language course, with most classes also studying WJEC English Literature. These courses currently include controlled assessments and examination units. Where appropriate, some pupils will secure Entry Level English alongside their GCSE English Language.